Facebook has woken up to the fact that people will no longer put up with Facebook’s disregard for people’s privacy and they are starting to make changes designed to help Facebook users rather than just Facebook’s bank account. You’ll see a summary of the choices you’ve already made and be given the chance to make changes. They’ve redesigned the settings menu on mobile devices to make privacy controls easier to find and use and it’s all accessible from one screen. They’ve also made it clearer to see what information can and can’t be shared with apps. In addition, there’s a new Privacy Shortcuts feature. From here you can have quick access to the most widely used privacy settings and tools. They’ve created a tool called ‘Access Your Information’ – a secure way to access and manage your information, such as posts, reactions, comments, and things you’ve searched for. You can find, download and delete any or all of your Facebook data. A Data Abuse Bounty was launched recently to reward people who report any misuse of data by app developers. It’s part of the efforts to more quickly uncover potential abuse of people’s information. 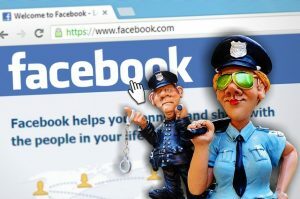 Facebook say they quickly review and respond to reports that identify a credible threat to people’s information, be it a case where a Facebook platform app is trying to collect people’s data to sell it, or pass it onto another party to be sold, or used for scams or political influence. If confirmed data abuse, they’ll shut down the offending app and take legal action against the company selling or buying the data if necessary. Facebook will reward the person who reported the issue and also alert those believed to be affected.